Hey, thanks so much, and thanks for reading! At least we know that we’re all in this together. –This first point isn’t original, but as DFW wrote, Roger can do things on a tennis court that seem impossible, astonishing, miraculous. Beautiful in the sense of skill used to accomplish something in a way that has an almost artistic element. I think this is what first draws many people to Roger’s game. –RF does all this in an essentially non-confrontational way. He wins by playing well, he doesn’t seem to want to intimidate anyone, at least not overtly. This has a deep appeal to people who value fairness and consideration in human relations (which seem to be in short supply right now. . .). Your comment about violating certain masculine norms gets at this as well. 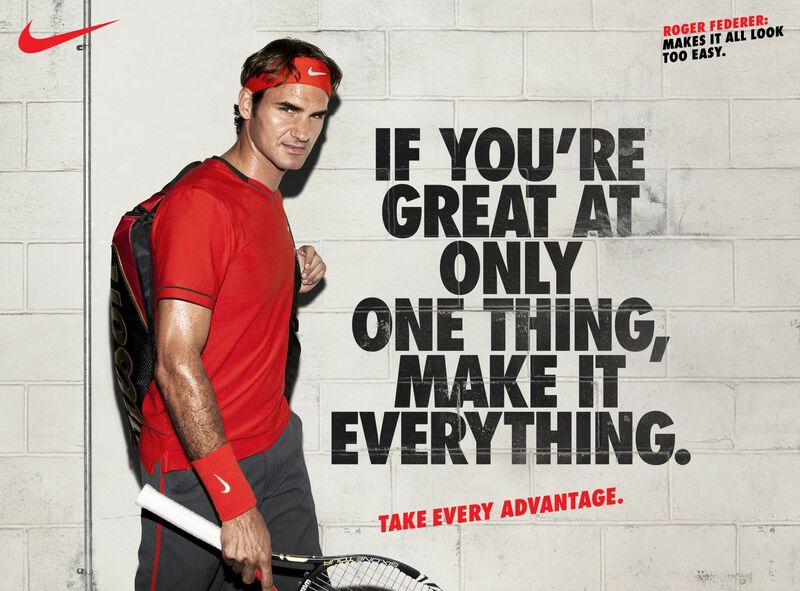 The way Roger plays seems to affirm a set of values that goes beyond sports. But at least for now Roger is holding the center together, and he has plenty of conviction. Who knows what he may yet achieve — or not. It could all end tomorrow, but he’s given a lot of inspiration to a lot of people. Hey, thanks for your long and thoughtful comment! I love your use of the Yeats quote – “the best lack all conviction” has, at times, been Roger’s downfall in my opinion, though I think that AO 2017 final really led to a turn-around. Again – thanks for commenting!